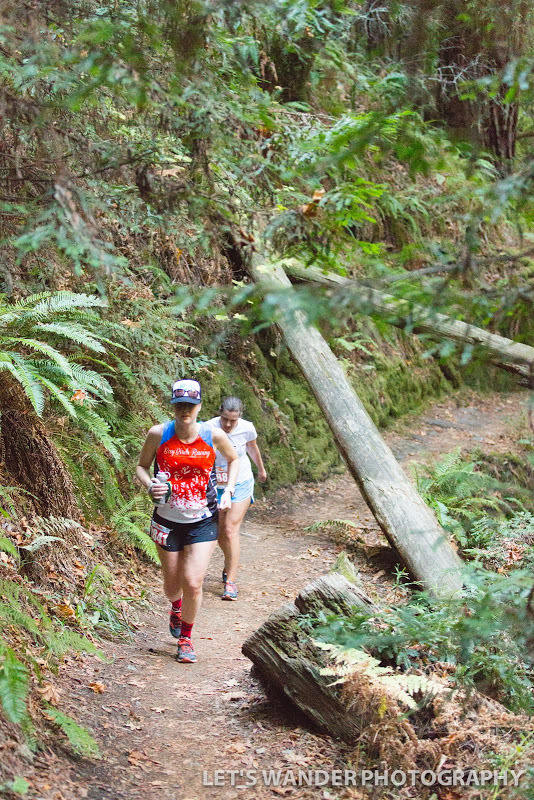 On November 14, I ran the Mt Tam trail half marathon held by Inside Trail. 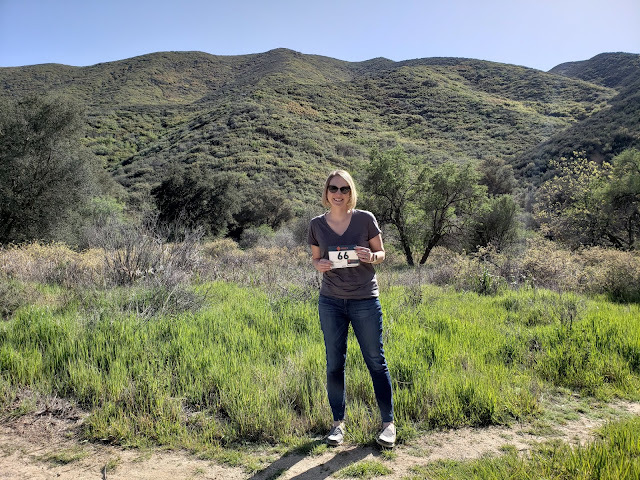 This was my first trail race post-50K and I was pretty nervous based on how I'd been feeling the few weeks before; I honestly didn't know if my body would feel up to the climbing (with 3000 feet of vert in 13 miles, it's a good challenge.) On the other hand, I'd signed up to run this with a few friends and was pumped to hang out with them for brunch after the race no matter how good the running part went. I made a last minute decision to stay in Mill Valley the night before the race, and I'm really glad I did. The drive from San Jose to Stinson Beach would have been early and rough on race morning; instead, I woke up at a reasonable 7 am and drove the 30 minutes or so to Stinson Beach. I arrived in time to see Sophia and Robin off in the 30K start at 8:30 am, then prepared myself for the half start at 9 am. Soon we lined up for the half marathon and off we went. The course starts with a big climb so it's tough right off the bat. However, it's also gorgeous because you are running through the trees on Steep Ravine trail. I really can't get enough of Marin! After about 3 miles of climbing we arrived at the Cardiac aid station, and from there we enjoyed some well-deserved (although technical) downhill. The views of the ocean from the top are well worth the climb. Around mile 5, it's time to climb again. I knew this climb was longer and expected it to feel harder, but in reality it became pretty gentle after a mile or so and, to my surprise, was very runnable. I really enjoyed this portion of the course - there's nothing like gliding through the trees on perfect single-track trail. It was bliss. The course was set up so that we looped back to the Cardiac aid station at the end of that climb, then we turned onto the Dipsea Trail for the descent back to Stinson Beach. The initial part of the descent is along the hillside with awesome ocean views, then you dip back into the woods and descend what feels like a ton of wooden stairs. It was hard for me to run the stairs without feeling like I'd fall but I did it as fast as I could. I had a lot left in the tank at the end, which makes me think I should have gone out faster. I pushed harder during the last couple of miles to the finish and focused on passing people to keep myself going. When I finished, I wasn't ready to be done running and wished I'd run the 30K! Now don't get me wrong, this doesn't mean I was fast or near a trail PR by any means. This course is hard and I finished it in 3:03:22, which is exactly what I expected for the terrain and climbing. Overall I was very pleased at how great I felt during the run and at the end; perhaps my fitness and body aren't doing as bad as I thought? I was greeted at the finish by Sophia, Charlie, Robin, and Kate as well as more Bay Bird and trail running friends. I love the community and seeing so many people I already know at the races. We hung out for quite a while chatting, then headed off to brunch at The Dipsea Cafe. With Robin, Kate, and Sophia. We all had good days on the course. It was Kate's first trail half (which she totally rocked!) and Sophia had a big 30K PR too. I highly recommend this race for a beautiful course and because Inside Trail does a great job with organization, support, and shirts. For me, the rest of this year will be about enjoying trails and this was a good start. 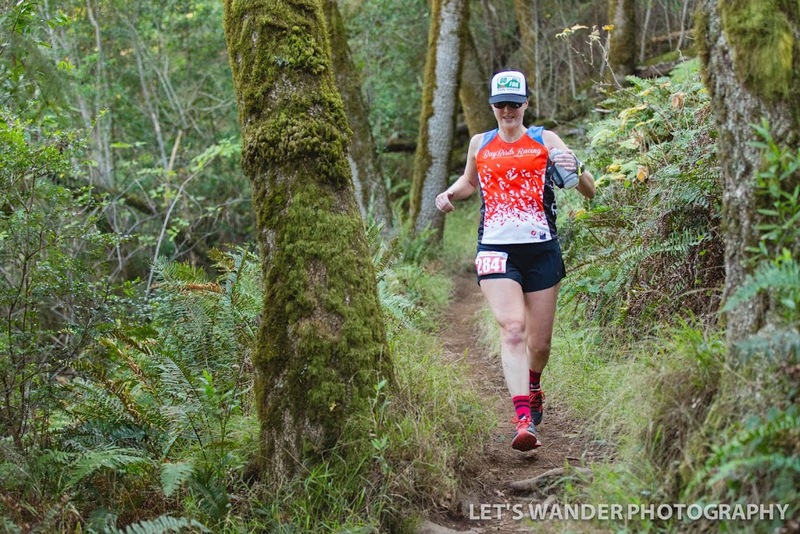 I'll be doing a few Brazen Racing trail half marathons in the next month or so to kick off the Ultra Half Series and I can't wait!